Being involved in a motor vehicle accident (MVA) is a traumatic and often life-changing event, even if your injuries are considered minor. Other than an exchange of information between the parties involved, it is surprising how many people do not know how to properly follow up their injuries to make sure their injuries fully heal and don’t become chronic. First things first. 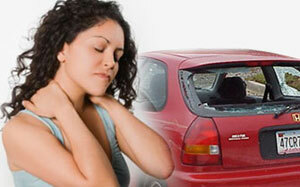 If you are in an MVA there are certain legal and logistical issues which need to be taken care of. You need to exchange insurance and contact information with the other party, file a police report, contact your insurance company, take your car to get adjusted to determine the amount of damage, and then get your car repaired, but what about you and your injuries? If you are lucky enough to not require a hospital visit, you could still have musculo-skeletal issues which will need to be addressed. You could have sprains and/or strains of your muscles in your legs, trunk and arms, as well as whiplash in your neck and shoulders. Many of these “minor” injuries can cause some pretty big problems in the future if they are not treated immediately and properly. If you have Alberta insurance, you are automatically qualified for immediate, non-delayed care by qualified professionals which include chiropractors, massage therapists, physiotherapists, medical doctors as well as a psychiatrist regardless of who is at fault. This care is funded by your insurance company and is usually not an out-of-pocket expense. This is legislated and is known as the Diagnostic Treatment Protocol for minor soft tissue injuries in Alberta. This legislation and funding was put into place because studies have shown that any delay in care following an MVA, can result in delayed healing, chronic injury and disability. This Diagnostic Treatment Protocol must be activated within ten days following your accident. So, who should you see first? Because most “minor” injuries are of a musculo-skeletal nature, it is recommended that you see a chiropractor first because that is their area of expertise. If you think you have psychological, visceral or internal injuries, you should also see your family doctor. The goal is to get you better as fast as possible, so quite often there is a liaison between your health-care professionals. Our assistants will interface with your insurance company which makes the process seamless for you. From a legal standpoint, it is important that there is documentation of your injuries by all of your health care professionals in the event there is some sort of legal settlement in the future regarding your injuries.Immediately following the accident (same day if possible), you should book an appointment with your chiropractor and/or your medical doctor to get the process started. Our assistants will have you fill out some paperwork to initiate the Diagnostic Treatment Protocols so your injuries can be assessed and treated. Once your paperwork is completed, Dr. Taha will undertake a new history, full exam, surface EMG, injury questionnaires, thermography, postural assessments, and x-rays all of which objectify the nature of the injury. He will give you a diagnosis and acute care recommendations to manage inflammation and stabilize the injury. His diagnosis will be documented for your insurance company and based on that diagnosis, your insurance company will determine the total cost and number of visits for chiropractic and massage you are eligible for. Study after study indicates that chiropractic care is the best treatment for whiplash associated disorders and rehabilitation. If Dr. Hassen Taha determines that further testing is necessary (CT scan, MRI), he will arrange it for you. He will also give you a referral letter for your physician as well as any necessary letters for your employer regarding expected time off of work or a modification in work schedule. You will also be given a number of recommendations you can undertake to improve your healing process. After our assistants fax everything to your insurance company, treatment starts without delay. The insurance company directly pays for your treatment..there are no extra premiums or out-of -pocket expenses. Once your treatments are completed, you will have a reevaluation with Dr. Hassen Taha at which time he will determine if your injuries are completely healed or if further treatment is necessary. Our goal at Edmonton Pain & Injury Clinic is to get you back to pre-accident form as soon as possible. It is important to remember that any delay in treatment after an accident may result in a delayed or compromised healing process. If you do find yourself in the unfortunate event of a motor vehicle accident, contact our Edmonton chiropractic office, let the assistants know you have just been in a motor vehicle accident and they will get you in for an assessment as soon as possible.